I have been spending the last two weeks working on save-the-dates, invitations and wedding programs for a few different clients. Four out of the five brides are using a independent graphic designer, while one ordered everything she needed from The Scribbler in Crestline Village. With THOUSANDS (and I do mean thousands) of options, how do you know where to start this process? I thought it would be helpful to give you a few thoughts that will make this process a little easier for you. 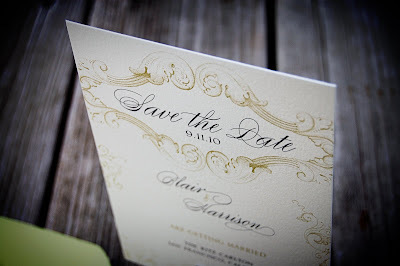 1) How much time do you have before you need to send out save-the-date cards and/or invitations? 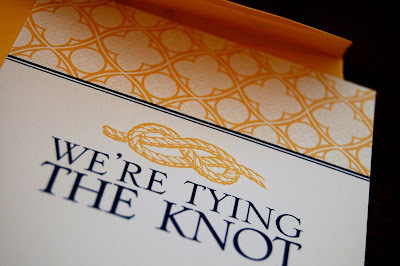 Remember, save-the-dates are supposed to be sent out 4-6 months before the wedding date while invitations are supposed to be sent out 6-8 weeks before the wedding date. 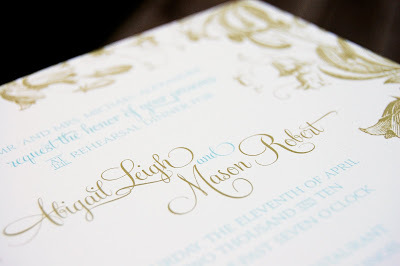 If you are pushed for time, you might want to take a look through the design books at your local invitation shop and order that day. It usually takes about two weeks for the invitations to come in. If you have the time, research different designers and find one that fits your style. DESIGNERS CANNOT READ YOUR MIND! You can send inspiration photos to give him/her an idea of what you are looking for. Do not give up or settle on something that you are not 100% happy with. However, if you are a picky, indecisive person, you may need to settle at some point. There is nothing worse than a bride who always finds something wrong with every draft. Give constructive guidance and you cannot go wrong. 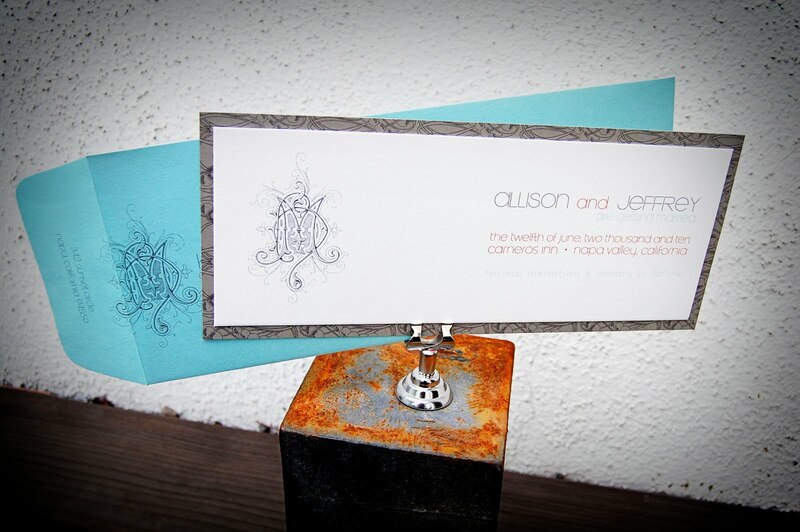 2) Are you looking for a customized invitation design for all of your "paper" (save the dates, invitations, etc.) or are you going with the more traditional format? If you are envisioning a personal monogram or logo, typically you will need to work with a independent graphic designer. The books at your local invitation store will have invitations that are unique and different, so do not feel like you have to hire a designer to get anything other than the traditional ecru card stock. To sum it up...the books are typically a "get what you see" deal, but you can still find some unique designs. 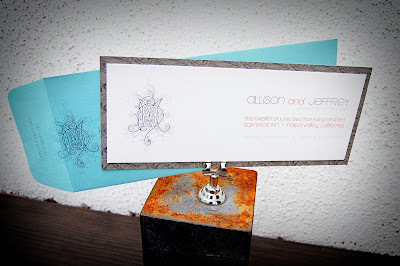 3) Do you know the look/design/feel you want for your "paper"? 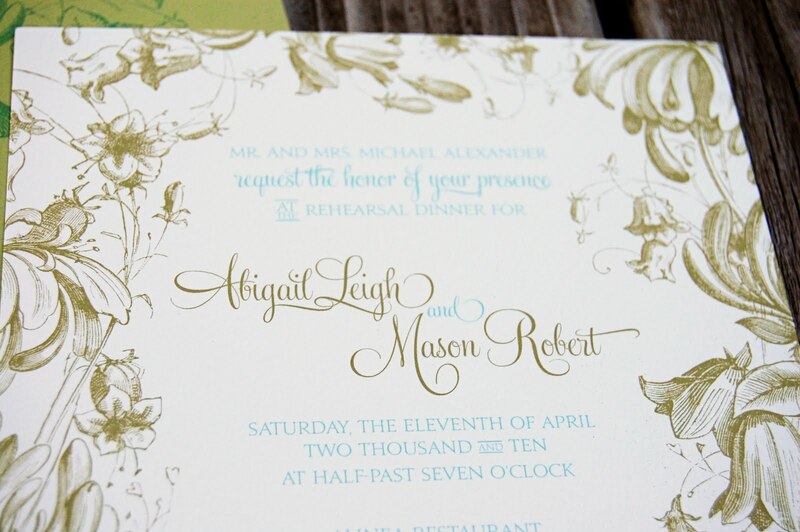 If you have no idea of what you want your design to be, I would recommend starting with your local invitation store. How will a personal designer know what direction to go in if you don't know! Start looking in magazines and online. Pull anything you like and send it to the designer and tell him/her what you like about each one. Nine out of ten times, the designer will be able to pull it all together and create something you really like. 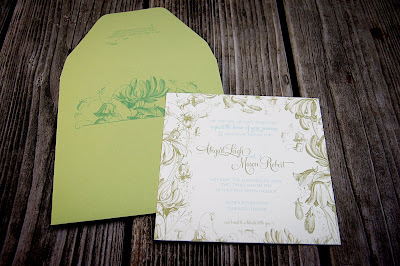 A happy medium is definitely a new invitation vendor I met a few weeks ago.....A+Z Ink. 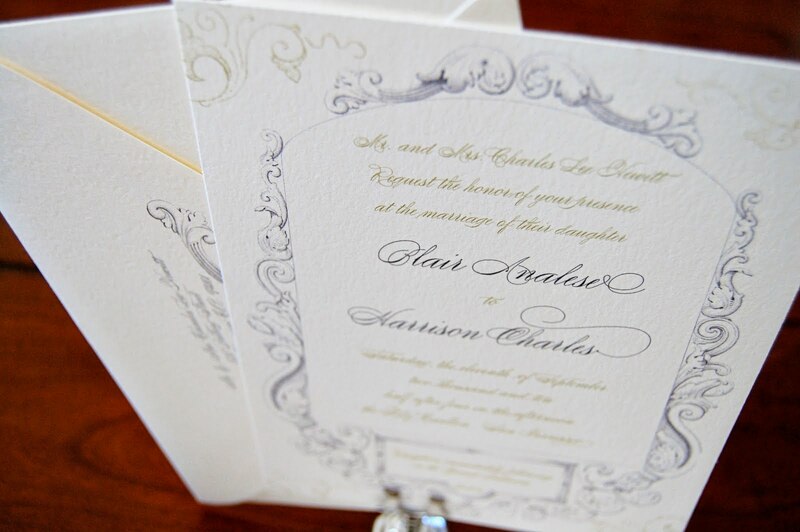 They offer an amazing variety of high quality/uniquely designed invitations. The below pictures are from their collection. The other outstanding graphic designers I love to work with also include Rice Designs, Catherine Currie Designs and Razzle Dazzel Creative Design. Each of them are a pleasure to work with and do a great job.